Where did the first rope tow on Mount Mansfield come from? The 1,000 ft rope tow came from Wesley Pope, in Jeffersonville. 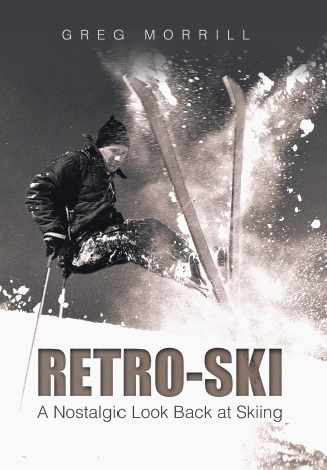 According to Charlie Lord’s notes provided in the book Ski Pioneers of Stowe, it was purchased for $900 and was installed by mid-December 1936, yet operated commercially for the first time on February 7. $1 bought an all-day ticket and for $5.00 the skier could ride all season. Found something about it in the Hagerman book (1975). Feb 7 1937 commercial operation of a rope tow began on the Toll House slopes. “Lift had been purchased from Wesley Pope of Jeffersonville and installed by him late in 1936. Poor conditions at the start of the season prevented earlier operation.” But the book doesn’t say if it had been used elsewhere first. 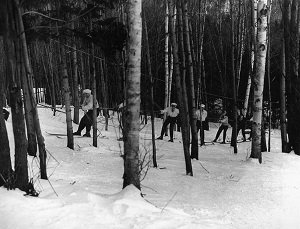 Bigelow book(1964) says Frank E. Griffin built the first ski tow in Northern Vt near the Toll House and developed the Mt Mansfield ski school. Neither book mentions a previous location…..